This profile is one of the more streamlined and simple profiles in our range of tall skirting boards. Featuring a subtle, wave-like curve accented by a miniature round at the top of the profile, this is a very versatile design in terms of the type of interior it would complement. Please note - this profile is from our specialist range of tall skirting boards. The height of the profile for this design is 87mm, and the image shows this product as it would look at 200mm high overall, instead of 120mm high like our standard range. 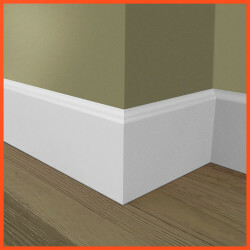 Our Duke skirting boards are manufactured from premium grade, Moisture Resistant MDF. This material is used predominantly throughout the construction and interior design industries because of its durability and versatility. We have found that this grade of MDF is perfect for skirting board and architrave. The hard-wearing nature of the MDF means our products will maintain condition for a long time after installation. It is such an easy material to work with (it won’t splinter or crack like some pine or timber products) it makes fitting your skirting board as quick and stress-free as possible. 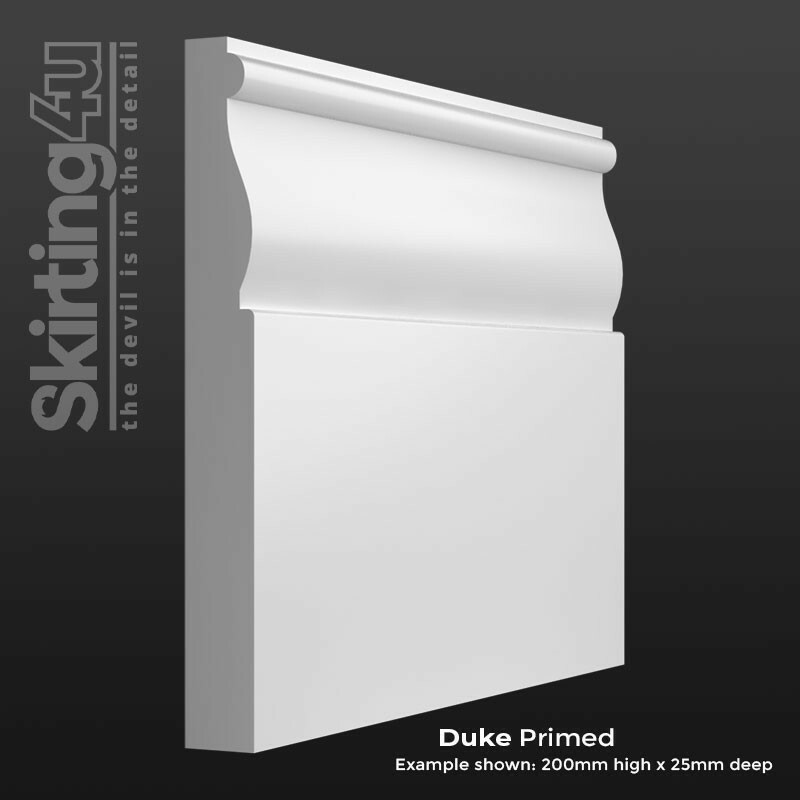 The Duke profile is produced in our factory located in Walsall, West Midlands using our best-in-class spindle moulders to achieve a superior moulding detail. We are confident that our products will withstand even the closest scrutiny, and actively encourage our customers to order a sample so that they can instantly see that the products we produce are of the highest possible quality.